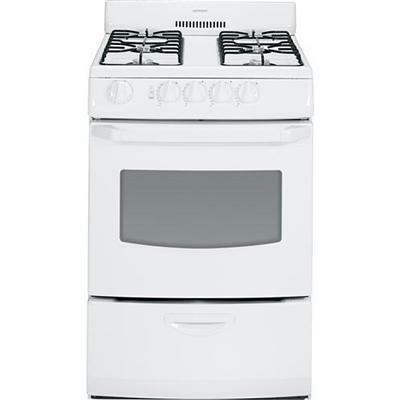 Hotpoint 24" free-standing gas range. Additional Information ADA Compliant; Leveling System	4 Leveling Legs. Warranty Labor Warranty	Limited 1-year entire appliance; Parts Warranty	Limited 1-year entire appliance.